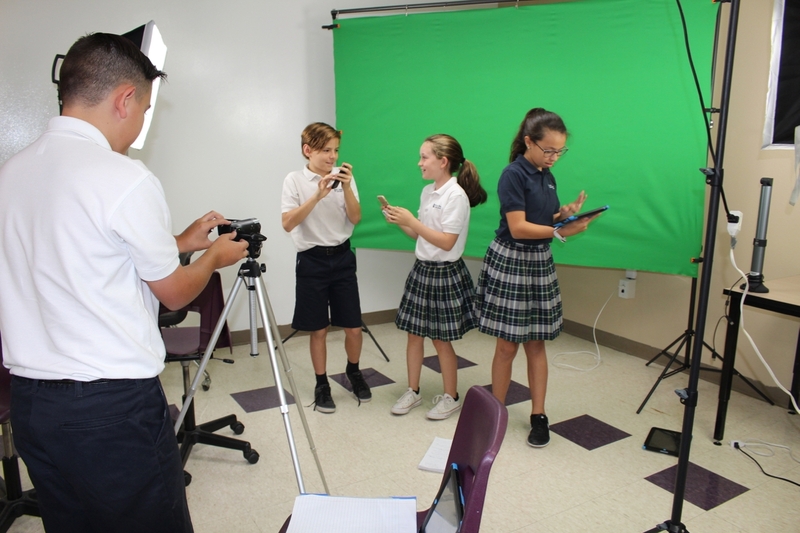 Students create videos by writing, filming and editing. 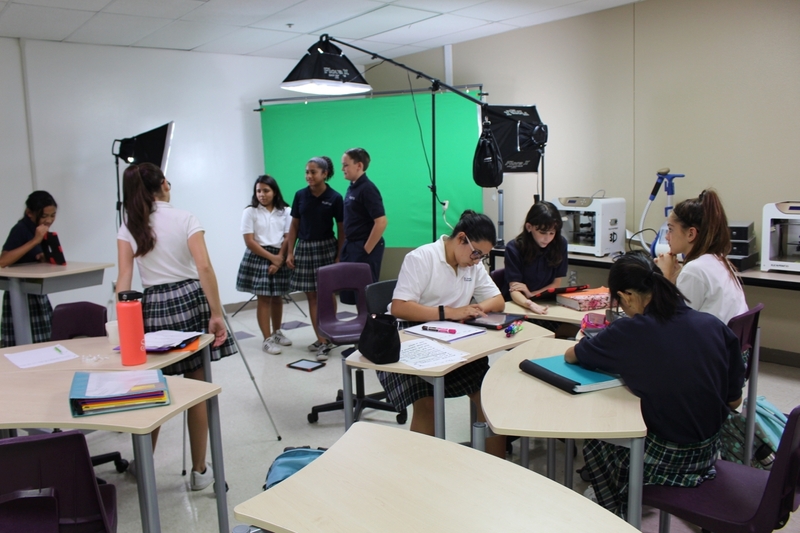 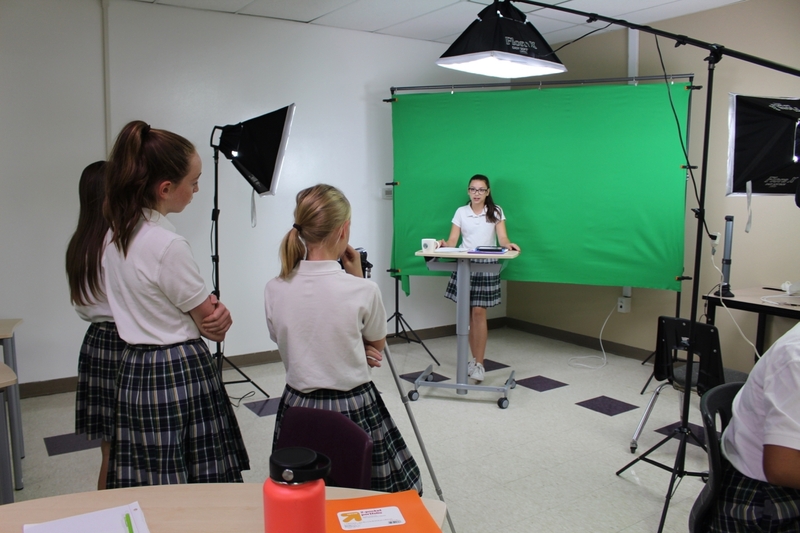 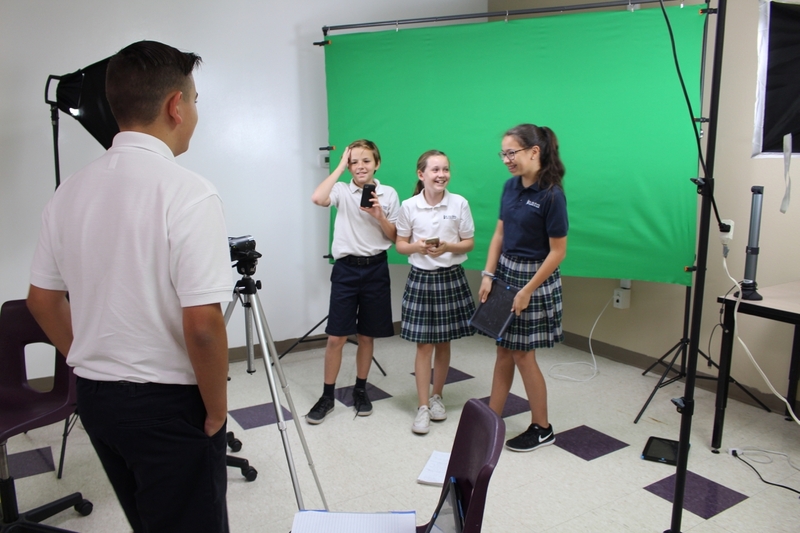 Students learn how to film using the green screen, lights, Ipads, Chromebooks and video cameras. 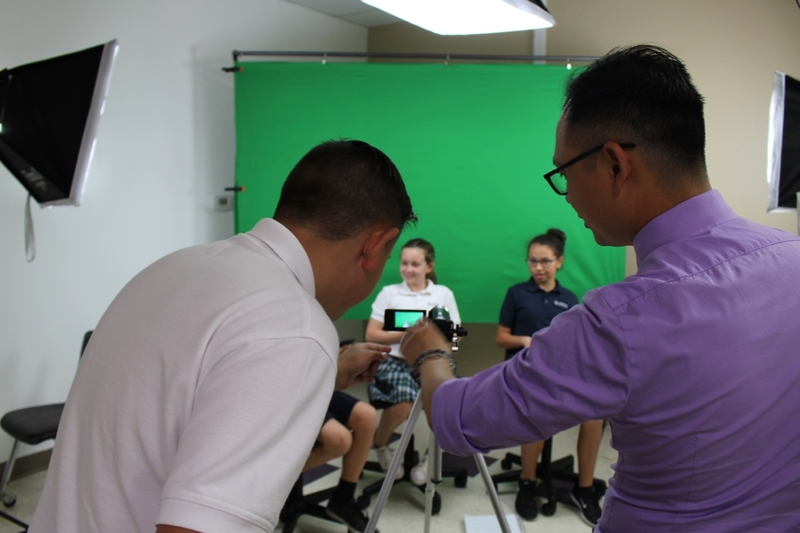 Working collaboratively, the student use WeVideo, a cloud-based video editing software to complete a variety of projects.